Passed in 2013, the law said clinics providing abortion services must meet the same building standards as ambulatory surgical centers. And it required doctors performing abortions to have admitting privileges at nearby hospitals. Since the law was passed, the number of clinics providing abortion services in Texas dropped to 19 from 42. Opponents said that number would fall to ten if the Supreme Court upheld the law. The Center for Reproductive Rights called the law “an absolute sham,” arguing that abortion patients rarely require hospitalization and that many patients simply take two pills. Breyer was joined in the majority by Justices Ruth Bader Ginsburg, Elena Kagan and Anthony M. Kennedy and Sonia Sotomayor. 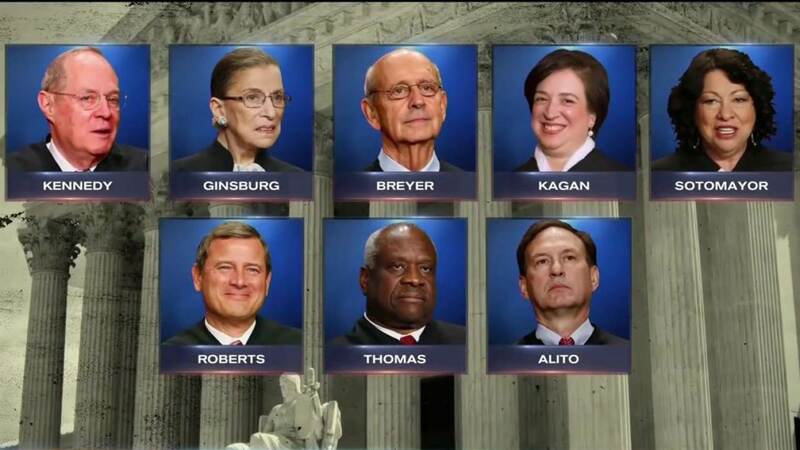 Chief Justice John G. Roberts Jr., Samuel A. Alito Jr. and Clarence Thomas dissented. Surgical patients undergo a ten-minute procedure without general anesthesia in the outpatient setting of a doctor’s office or clinic, the group said, and complications from abortion are extremely rare. The court’s decision will affect similar laws in twelve other states, some now on hold because of court challenges. The restrictions in Texas represented a new front in efforts to restrict abortion by focusing on protecting the health and safety of the mother rather than the life of the fetus. At the heart of the case was the standard for assessing abortion limits first announced by the Supreme Court in 1992. State laws cannot create an “undue burden” on a woman’s constitutional right to terminate her pregnancy before the fetus attains viability, it said then. A law imposes such a burden, the court said in the case of Planned Parenthood v. Casey, if its “purpose or effect is to place substantial obstacles in the path” of a woman seeking to exercise that right. Planned Parenthood celebrated the ruling.